In her end-of-conference speech today, the UK prime minister, Theresa May, is set to announce that Fuel Duty is to be frozen for a ninth consecutive year to show that the government is “on the side of ‘hard-working families'”. Fuel duty currently stands at 57.95p per litre of petrol, diesel, biodiesel and bioethenol. This is on top of VAT of 20% that is also charged on most fuels. Fuel duty is expected to raise just over £28bn in the coming year. AA president Edmund King said the freeze would bring relief to millions of UK drivers and businesses. 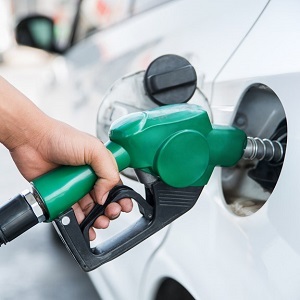 “The high pump prices are already forcing many families to cut back on journeys, household expenditure or both,” he said, and the RAC Foundation have calculated that 61% of the price of petrol, and nearly 60% of the price of diesel, is tax. The Green Party are disappointed with the announcement say that any extra tax could have gone to public transport, walking and cycling initiatives. On average, the UK price for petrol is around 130p per litre, with diesel at 134.5p per litre. Theresa May will say that having a “”little bit of money left to put away at the end of the month” cannot be “measured in pounds and pence”. Mr Hammond, Chancellor of the Exchequer, said the policy had come “at a significant cost to the Exchequer”.